Charlie Rowley, surviving victim of alleged poisoning attack in the UK city of Amesbury, has been discharged from hospital, Lorna Wilkinson, Director of Nursing, Salisbury NHS Foundation Trust, said. "I am pleased to confirm that earlier today, Charlie Rowley was discharged from hospital. Charlie has been through an appalling experience most of us could never imagine. Today is a very welcome milestone in his recovery and all of us here at Salisbury Hospital wish him well as he continues to get better," she said in a statement. According to Wilkinson, "the progress he has made is a testament to the remarkable clinical team who have worked tirelessly, supported by brilliant behind the scenes staff." She also confirmed that both Rowley and Dawn Sturgess "had been poisoned by a powerful nerve agent." The 45-year-old man regained consciousness on July 11, whereas his partner, Dawn Sturgess, died in a hospital. 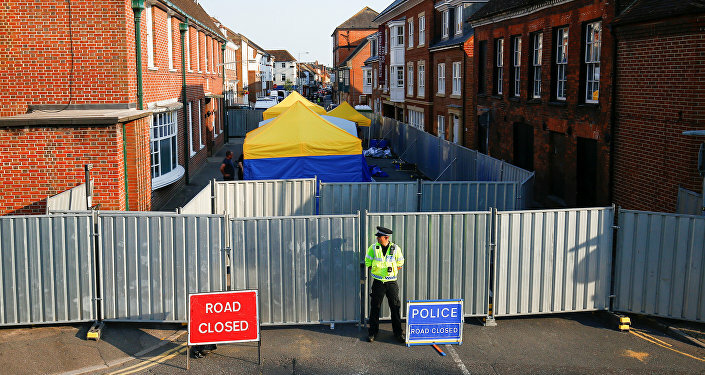 On the morning of July 4, the UK police reported a "serious incident" in Amesbury, Wiltshire, where two people were exposed to an unknown substance and were hospitalized in critical condition. Later, Scotland Yard confirmed that the man and woman were poisoned with the same substance as former Russian intelligence officer Sergei Skripal and his daughter Yulia in Salisbury, located several miles from Amesbury.